In today’s world, with continued global unrest increased terrorism and violent acts, it is massively important that emergency responders whether in the military or civilian services, are best equipped to recognise and manage catastrophic bleeding. 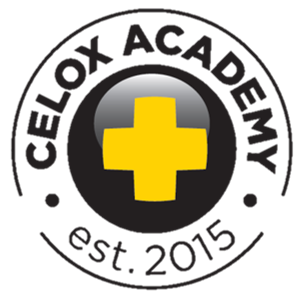 Celox Academy was established in 2015, to enable emergency responders to develop the skills and experience needed to perform in often hostile situations, as well as build confidence in overcoming physical and mental strains and through best practice, save lives. An online course available via the Celox Academy website. Learners can register for to our the online resource and learn how to identify and treat an emergency haemorrhage situation, using Celox haemostatic dressings. Certificated, worth 1-hour CPD. A lecture-based course, delivered by approved course facilitators, in a class-room environment. Ideal as a refresher resource or for companies and organisations . Organised across various locations through Celox Academy’s extended network of partners. Learners learn to identify haemorrhage and treat it effectively through a variety of medical devices to include tourniquets, pressure dressing and haemostatic agents. Certificated, worth 2-hours CPD. An interactive course that combines theory and practice, to enable military and civilian emergency responders to recognise and manage catastrophic bleeding. The practical session includes prosthetic models with bleeding effects so learners get to manage haemorrhage in almost real time. Learners will be assessed during practical sessions to ensure they have attained the skills necessary. Certificated, worth 3-hours CPD. Celox Academy is a member of the CPD Certification Service. Established in 1996, The CPD Certification Service is the independent CPD accreditation centre working across all sectors, disciplines and further learning applications. Their unique experience and history working with training providers, professional bodies, academic institutions and corporate organisations enable us to provide emergency responders with an authoritative accreditation that supports the Continuing Professional Development policies of institutional and professional organisations on an increasingly global basis. All Celox Academy courses are assessed and accredited against the universally accepted structured checklist which the CPD Service has developed over the past 20+ years and in line with international CPD protocols.